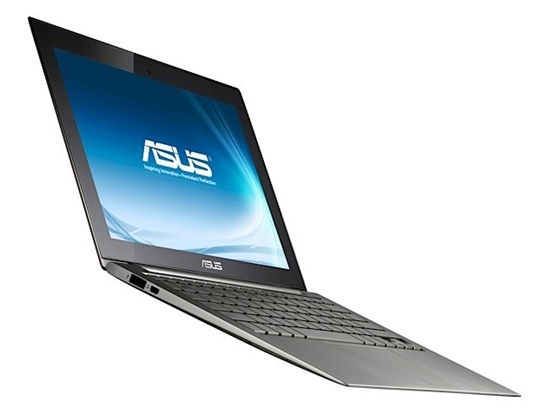 The Asus ultrabooks are coming. Asus already revealed the pricing details of its ultrabooks which have now been renamed Zenbook UX21 and Zenbook UX31 since according to Asus, these products represent “peace of mind” and “balance of elegance and power”. The specs and dimensions of the Zenbook UX21 and UX31 are the same as the ones Asus previously revealed in June, including the .11 to .71-inches in thickness, the 11.6 lbs (UX21) and 2.9 lbs (UX31) weights, and the ability to resume from sleep in two seconds. The Zenbooks will not come cheap, though. As previously rumored, the 11.6-inch Zenbook UX21 is priced at $999, which gets you Core i5 and 128GB SSD, while the 13.3-inch Zenbook UX31 with Core i5-2557M processor and 128GB SSD drive will retail at $1,099. This pricing makes the Zenbooks direct competitors of the MacBook Air. 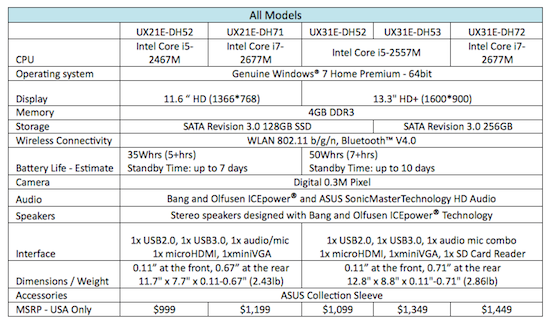 Here’s a specs list of the models hitting the US. These may be changed for the Asian version but we’ll see. The Zenbooks will be available tomorrow in the US. No announcement yet on availability in the Philippines. how much is this in philippines?